The Colombian capital is undergoing an exciting culinary movement fueled by a sense of national pride and access to produce in parts of the country previously inaccessible—thanks to the peace treaty signed in 2016 between the government and far-left military group FARC. This has ended a multi-generation, 50-plus-year conflict which had substantially destabilised the country. 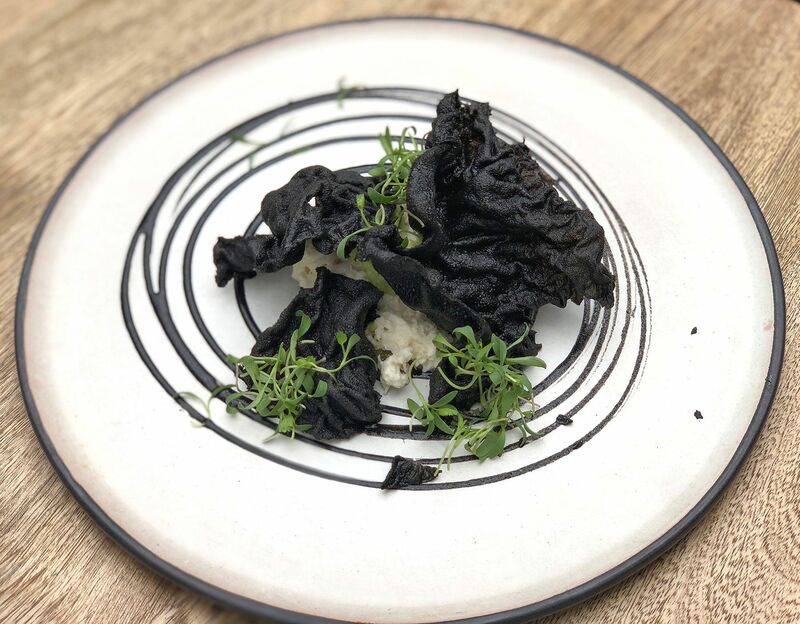 Previously, restaurants had to import ingredients from overseas, but chefs today are rediscovering and exploring their own extraordinary range of produce, many which are unique to Bogota. Colombian cuisine has become front and center in a growing number of fine-dining restaurants (previously, European cuisine was the norm) and a whole cadre of young chefs are returning home after having lived overseas during the more dangerous periods of the conflict. There’s a reason why the World’s 50 Best Restaurants held their Latin American edition here in 2017 and 2018. And let’s not forget Colombia’s incredible street food. From light and fluffy cheese breads (buñuelo, pan de bono, almojábana, pan de yuca) to the hearty roasted pig, lechona, it’s a city where you won’t run out of things to eat and explore. If you could have only one meal in Bogota, it has to be at Leo. Run by mother-and-daughter Leonor Espinosa (Latin America’s Best Female Chef 2017) and Laura Hernandez-Espinosa, the restaurant, which was named the best restaurant in Colombia in 2018 by the Latin America’s 50 Best Restaurants, presents Colombia’s extraordinary bounty in the form of a 15-course tasting menu, with ingredients you’ve most likely never heard of (coquindo and ponche, anyone? That’s a yellow acidic fruit from the Amazon, and wild rodent meat, by the way) spanning from rain forests to the deserts all over the country. Their beverage pairing is one of the more socially conscious on the market today. Sommelier Laura works closely with small producers from all over the country who ferment their own drinks like guava wine, quinoa beer, coca wine from fermented coca leaves, once again shining the spotlight on both local ingredients and ancestral recipes of communities. Alvaro Clavijo is part of the wave of talented young of chefs who have, after spending time working overseas (in his case, Le Bristol and L’Atelier de Joel Robuchon in Paris, Per Se and Atera in New York, and Noma in Copenhagen), come back to home to make magic. El Chato, which was the highest new entry at the 2018 Latin America’s Best Restaurants Awards at No. 21, features seasonal Colombian produce reincarnated into technique-driven plates like the delicate squid and mushroom tartare, the umami-laden crabmeat and squid ink rice chips, and the boundary-pushing Colombian pound cake made with the controversial coca flour, all served at a casual and relaxed space. Tatler tip: The upstairs is a bright and airy lounge peppered with greenery fronting the kitchen where Clavijo and his team are hard at work. Paloquemao is labyrinth of a farmer’s market for anyone who loves food—and come hungry, because you could technically have breakfast, lunch and dinner here! Mountains of fresh fruits abound like the lulo (the popular orange-looking fruit that’s both tart and citrusy, and often turned into juice), granadilla (it has similarities to passion fruit) and guanabana (a cross between a lychee and durian). Colombian specialties include the tamal made from corn flour and stuffed with chicken, pork belly, rice and egg, wrapped in banana leaf, the semi-hard paipa cheese, and the lechona, where the Colombian suckling pig is stuffed with rice. Foodies Colombia (@foodiescolombia on Instagram) offers insightful tours in English. Hip, casual and relaxed, Salvo Patria is Bogota’s yuppie generation’s “it” neighborhood restaurant, bar and coffee shop that would not look out of place in Melbourne or San Francisco. The produce-driven menu stars fish empanadas, grilled octopus, fried chicken hearts, roasted hearts of palm that you can easily share as a group. Chef Alejandro Gutierrez, used to work in New York and Lima, and barista Juan Ortiz, honed his skills in Australia. They also serve single origin Colombian coffee brewed from syphon, aeropress and chemex. Andres Carne de Res is that over-the-top, Alice in Wonderland-like club-restaurant that Colombians will often tell out-of-towners to visit for a one-of-a-kind theatrical experience. Unfortunately, it is an hour’s drive from Bogota—well worth it if you have the time, but if you don’t, you can have a slice of this “more is more” at its food hall concept, La Plaza, at El Retiro Mall (we much prefer this than their eponymous DC restaurant next door). Just like any quick-service food hall, it’s pay-as-you-order from any of the stalls, and you can get any of the traditional Colombian specialties in an airconditioned environment with free WiFi. They have a fantastic fluffy arepa de choclo (sweet corn arepa), and also serve a hearty ajiaco.